Short description : The Hotel Páv dates back to the year 1806, when it was called “U tri kosu”- “The house of the three Blackbirds” according to the sign above the main entry. The property was built in the early classicism style, which was heavily influenced by the art of ancient Greece and Rome. 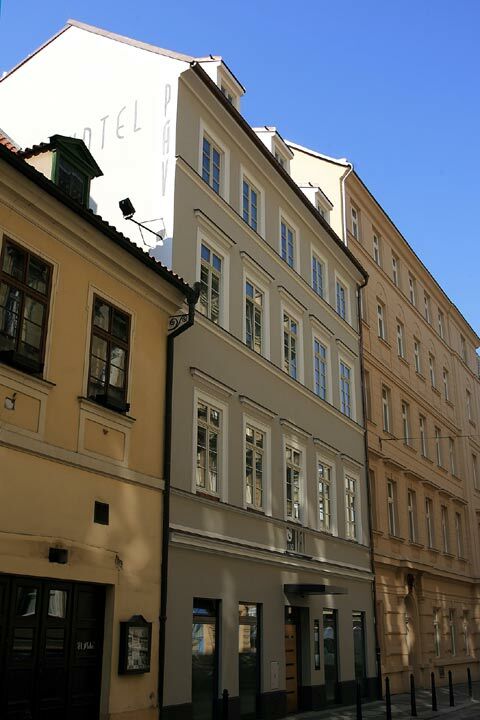 The building has been fully renovated in 2006 as an exquisite and a modern hotel of 82 comfortable, at the same time, fully respecting it's early classicism origins located close to the heart of Prague. Cancelation Policy : Cancellation Policy: If cancelled up to 1 day before the date of arrival, no fee will be charged. If cancelled later or in case of no-show, the first night will be charged. Children and Extra Bed Policy: All children are welcome. All children under 4 years stay free of charge when using existing bedding. All children under 2 years stay free of charge for cots. All older children or adults are charged EUR 29.00 per night and person for extra beds. Maximum capacity of extra beds/babycots in a room is 1. Deposit Policy: No deposit will be charged. VAT and city/tourist taxes: VAT is included. Service charge is included. City/tourist tax is included. Internet: Wireless internet is available in the entire hotel and is free of charge. Meal Plan: Buffet breakfast is included in the room rate. Parking: Secured parking is possible on streets nearby costs EUR 19.00 per day . Pets: Pets are allowed. Charges may be applicable. Room Information : Hotel Páv has 82 individually decorated rooms, each with a private bathroom, satellite TV, IDD telephone, complimentary WIFI internet access and a safety deposit box. Important Information : Airport shuttle: is avaiable at the rate of EUR 25,- / person / one way Pets: Pets are allowed at a cost of EUR 10,- / day / pet. 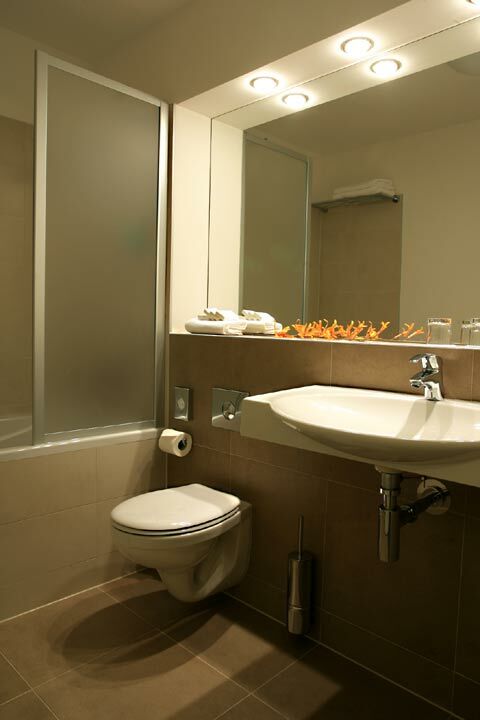 Disabled facilities: The hotel provides facilities for the disabled ( e.g. shower with seat, ... ). The whole property is accessible by wheelchair. 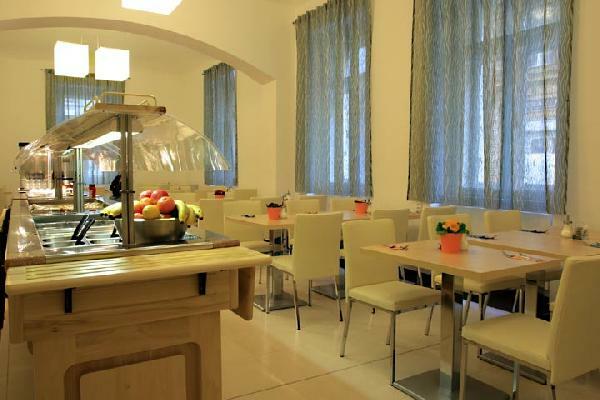 Region Information : Ideally situated on the border of the old and new town, in the historical city center, this hotel offers an ideal starting point for exploring the city's prime attractions. Take tram number 22 to access the sights. 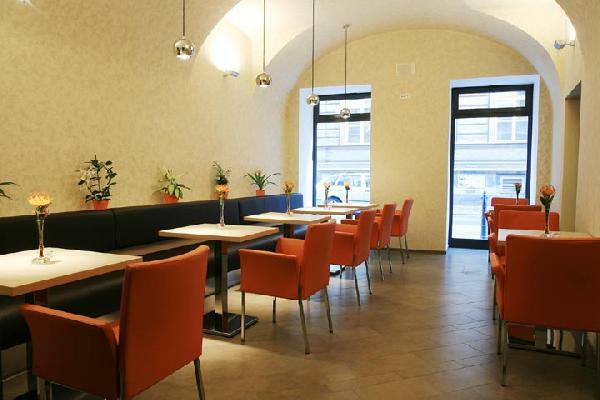 Food & Beverages : Enjoy the cosy breakfast room on the ground floor. Breakfast ( buffet ) is served from 7 to 10 am. Travel Information : Arrival from the airport by car: Distance from Airport to Hotel - approx. 20 km Estimated Taxi Charge ( one-way ) – EUR 20,- Public Transportation Charge – EUR 0,50 Arrival by car: After boarder cross ROZVADOV continue on highway E50 direction PLZEN, then PRAGUE. After getting near PRAHA follow signs "Centrum". 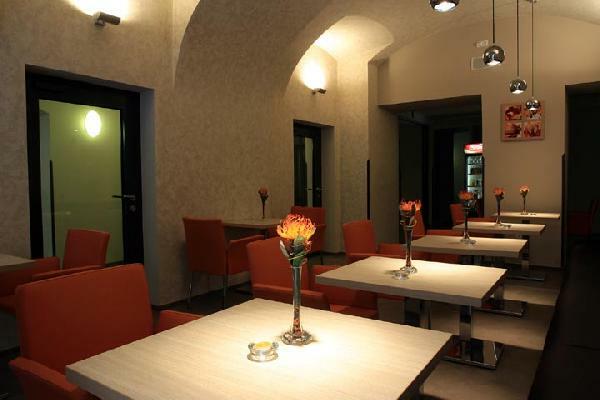 Entering the city center you will go on street PLZENSKA, and than turn to RADLICKA. Streets OSTOVSKEHO and VLTAVSKA will bring you to the river bank on the HOREJSI NABREZI. You will cross the river and continue left, than turn to the street MYSLIKOVA. At the second crossing you will change to the left to the PSTROSSOVA Street and at the first crossing to the right. 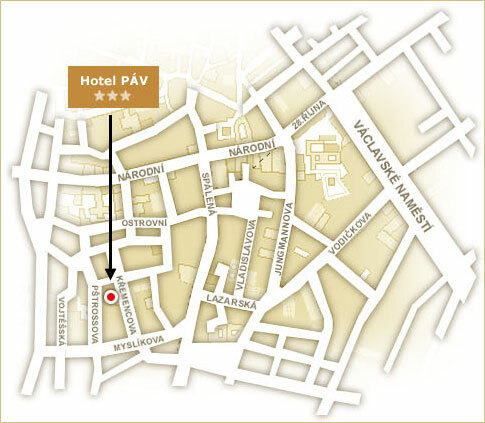 At the next crossing on the corner of street KREMENCOVA the hotel Páv is located. From BRNO just follow signs PRAHA-CENTRUM. After you cross Nuselsky Bridge, continue to cross road LEGEROVA/ANGLICKA. Turn left to the street ZITNA and go down the hill. On the end of this street is KARLOVO NAM. Go straight to the small street ODBORU. On second crossing turn left and on the next one turn right to the PSTROSSOVA Street. 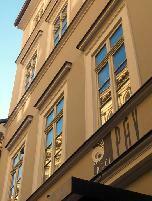 At first crossing turn to the right and on the next corner you will see Hotel Páv. Arrival from the airport by public transportation: By bus no 100 to the end station „Zličín“ then by metro ( tube ) – yellow line B to the station „Národní třída“. Then walk accros the street „Spálená“ to the street „Ostrovní“ then turn to the left on the street „Opatovická“. Follow this street and before the passage turn right. The second street is „Křemencova“ where the hotel Páv is located. Arrival from the railway station: By metro ( tube ): From the railway station „Hlavní nádraží“ go by metro ( tube ) – red line C to the station „Florenc“ change line to yellow one and go to the station „Národní třída“. Then walk accros the street „Spálená“ to the street „Ostrovní“ then turn to the left on the street „Opatovická“. Follow this street and before the passage turn right. The second street is „Křemencova“ where the hotel Páv is located.